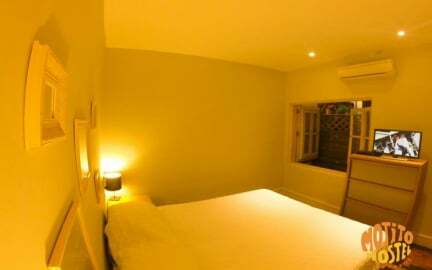 Mojito Hostel Ipanema Rio de Janeiro is located in the heart of Ipanema. The Hostel is an old fashioned house, reformed under the Carioca architect's design, Ricardo Guimaraes, combining modern style and comfort with the Carioca tradition. 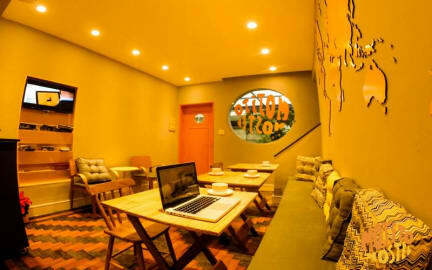 For your comfort the hostel offers free Wi-Fi access, there is a 24-hour front desk and an onsite bar. Our staff is prepared to receive you in a very cozy environment, so that you get to know people from all over the globe and make your visit to the 'Wonderful City' a dream come true. Mojito Hostel is located in the heart of Ipanema, with an ideal location to enjoy Ipanema Beaches (400 mts away), Copacabana (1000 mts away) and Rodrigo de Freitas Lagoon (150 mts away). Close to the main touristic attractions Rio has to offers (such as Corcovado, Sugar Loaf, Pedra da Gávea, Two Brothers' Hill, Botanical Gardens). With a quick access to all means of transport (300 mts away from Subway Station General Osório, Nossa Senhora da Paz) and busses heading everywhere in the city. We have private security in the hostel's street and the area is one of Rio's safest, to enjoy walks in one of most popular neighbourhoods in Brazil. All of our rooms and common areas are air-conditioned. The Hostels offers comfortable and stylish dorms with shared bathroom and private rooms. Check-in time is from 1 pm to 10 pm. After 10 pm, please contact the property before arrival. Check-out time is 10 am. Its a good hostel! I liked very much!! But, I had a problem with shower. Because I didn't find a good temperature. When the temperature was hot, it was so much hot and the weather not was warm enough for a cold shower. But, the clean, organisation, the location it was good! I recommend! And I will back soon.